Durable seven slotted neoprene case includes five Marine Bands in the keys of C, G, A, D and E. This set will get you started playing the blues and is perfect for rock, folk, country and bluegrass styles as well. 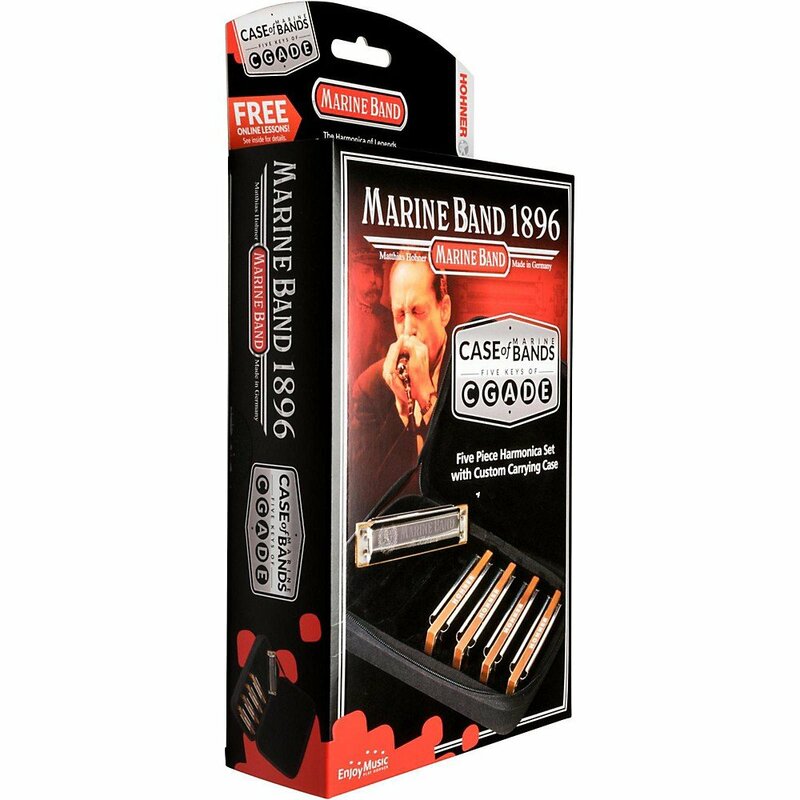 Played by virtually all blues harmonica legends, the Marine Band is recognized by it’s rich, full tone, musical range and distinctive single lacquered wood comb. The Marine Band’s German craftsmanship is unparalleled and has set the standard for all harmonicas since 1896.